"I've tried and tried. I've gone back to the hearing aid place over and over again. They've told me that they are set right and that my brain just needs to get used to the sound. I can't stand loud sounds. My husband sounds like he's shouting." She went on to explain that she is a professional musician and trying to wear her hearing aids while playing in the symphony was just overwhelming. I immediately had my suspicions of what was going on. To make a long story short, when we measured how her hearing aids were set, they were 15 decibels (dB) over her prescription. Considering that an increase of 6-dB means that the sound is twice as loud, this poor lady was walking around the world listening to sounds more than four times louder than she should have been. I wish I could say it is the only time I've encountered a story like this, but I hear similar tales from patients all the time. This lady's discontent with her hearing aids was not her fault, nor the fault of the hearing aids. The devices were not set correctly and, on the advice of the "professional" she was working with, she tried for five years to get used to a world that was way too loud. How does this happen? She went back to her hearing specialist multiple times. Bad story huh? 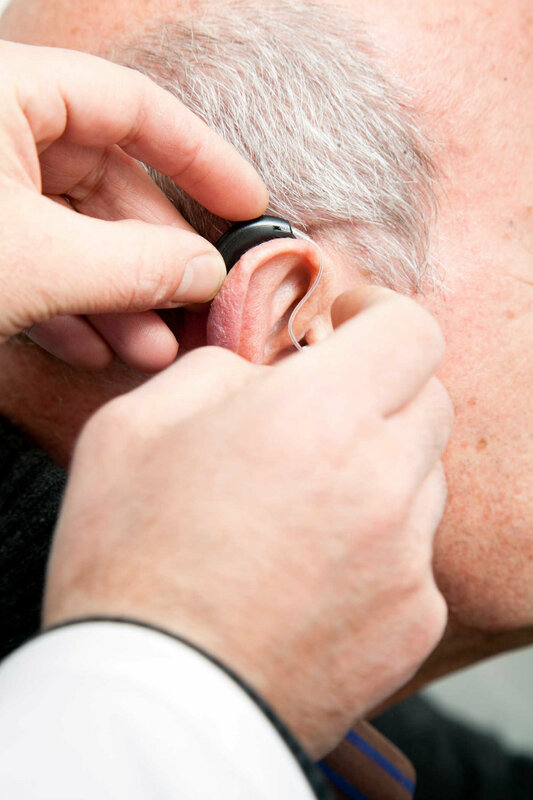 Success with hearing aids is highly-dependent on the abilities of a professional. Despite what the full-page newspaper ads and junk mail hearing aid coupons tell you, hearing aids are not a retail item like a television or refrigerator. Successful fitting must be take into account the individual, his or her hearing levels, lifestyle and even ear size. The best hearing aids in the world will only work well if fit appropriately. So how can you guarantee that you get a good fit and don't make a costly mistake? Do your homework! Find the right professional. Audiologists are the most highly-trained, best-qualified hearing professionals, with a doctoral degree (Au.D.) as a minimum. Of course, as with any trade or profession, all Audiologists in Nashville are not created equal. Read reviews, talk to friends, go visit the office and call and talk to the staff. Be sure that you are getting the best care and best experience possible. "Things are too loud," explains the patient. The hearing is turned down with a computer program. "It sounds fine right now I guess," the patient responds. Then, they leave the quiet office and go into the real world, and things are not where they need to be. Or an even worse scenario is that of my musician patient we just talked about. She went back to the hearing aid office, they looked at their software and told her that the hearing aids were set right. She complained. They looked at their computer, and told her to get used to it. The problem in both of these situations is that the professional never really measured the sound that the patient was receiving. To me, this is like a carpenter building a wall without measuring the exact length of the boards. There is only one way to know with 100% certainty that hearing aids are set accurately—probe microphone measurement. Probe mic systems allow the audiologist to measure the sound at the patient's eardrum using a small tube inserted into the ear with the hearing aid. The American Academy of Audiology states that probe microphone measurements should be done as a part of every hearing aid fitting. The American Speech Language and Hearing Association's (ASHA) hearing aid fitting protocol also requires probe microphone measurements to be used to verify every hearing aid fitting. Yet in a recent publication, it was estimated that only 25-30% of hearing aid fittings are performed using probe microphone measurements. Probe microphone systems are expensive and require some degree of knowledge to use. Thus, many offices choose to go on guessing and selling, instead of guaranteeing the most accurate fittings for their patients. If you have hearing aids and have never had this test performed, your hearing aids may not be set as well as they should be. If your hearing professional does not know with certainty exactly what your hearing aids are doing in your ears, perhaps it is time to seek a second opinion. Don't make a big mistake with your money or your hearing, contact a professional audiologist in Nashville today! Newer PostHow Loud is Too Loud? 3 Rules to Help Save Your Hearing.